Suporte Tablet JB Systems TR14 00767. 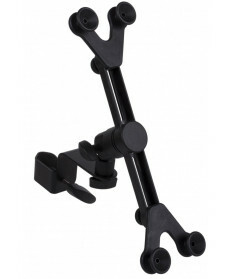 Universal Tablet holder for microphone stands for 6" to 10" screens. Suporte Tablet Hercules DG305B. Compatível com tablets de 7" a 12.1". 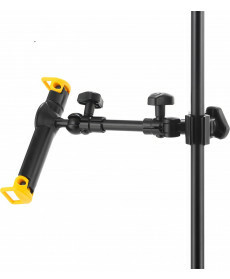 Pode ser utilizado em suporte de microfone (a meio ou no topo) e desktop. Suporte de microfone e tablet não incluídos. Suporte Tablet Hercules DG300B. 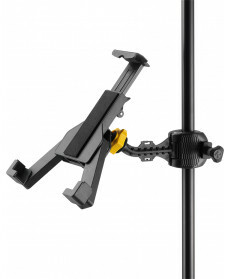 Is a lightweight durable tablet holder that is ideal for all musicians.